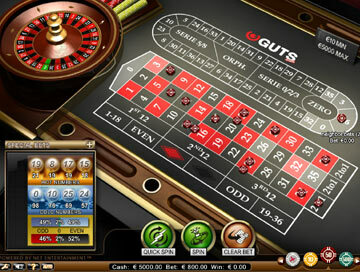 Roulette is the game that has attracted more systems and strategies than any other. Finding the one that suits you can be an expensive business, so we've taken the risk away by offering you the chance to practice on a choice of 12 Roulette games, including American and French - plus some unusual variations like 2 and 3 wheel. You'll get a ton of free credits, more than enough to try out all of our suggested strategies and become a Roulette expert! Looking to perfect your Blackjack strategy? Now you can play risk-free on a choice of 12 Blackjack varieties. We'll give you up to 100,000 play money credits to really put our 3 stage strategy through its paces, without having to download, register or deposit. Not sure whether to Hit, Stand or Double down? Need a reminder of the rules? Read our Blackjack guide before you play. Play Keno at home as often as you like with this great free game from Bovada. 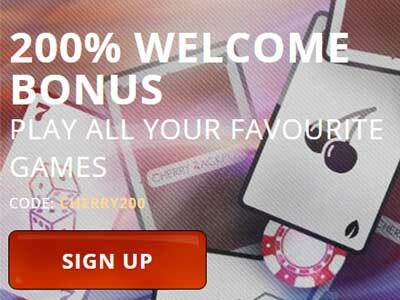 Bovada give you 1000 play credits which means you can play for hours without even giving up your email address! And as Bovada offer the largest Keno jackpot - 100,000 to 1 (most casinos only offer 10,000 to 1) - you can put yourself in line to experience the thrill of a huge payout! If you're unsure of the subtleties of Keno, you can read our Keno guide as you practice. Slots offer a sometimes bewildering choice of options and features. There are so many different types of slots, bonus rounds and symbols that it's a good idea to become familiar with any new game before you commit to playing with real money. Click on the image above and discover a fantastic range of slots games that you can play to your heart's content, without having to register or download any software. And if you're new to slots, check out our comprehensive Slots guide before you start. 1000 play chips will give you plenty of time to become familiar with the subtleties of the game, and allow you to become fluent at using our optimal Pai Gow strategy, which gives you advanced tips on how to set ANY hand. Our recommended Baccarat (Punto Banco) strategy gives you your best chance to win. With this free-play game from Bovada casino, using the strategy can become second nature. If you need to brush up on the rules before you begin, our Baccarat guide will give you a quick and simple refresher. Then you can start to practice! You'll get enough play credits to play hundreds of rounds, without having to download any software or register an account. Sic Bo is one of the most exciting and popular games in Asian casinos. A riot of flashing lights and numbers, Sic Bo can be a little intimidating for new players. You can now become completely familiar with this fantastic game - risk-free - by playing on this practice game, provided by Spin Palace. Simply click on the image to the left and play! High, Low, Double or Triple? Our Sic Bo guide explains all the bets . Video Poker is one of the simplest and most popular games in the casino as it's easy for beginners to learn. But to get the edge on the house, you need to use a proper strategy. Some of the rules will go against your Poker instincts e.g. keeping 2 Threes instead of A,Q. This free play game gives you 3,000 play chips which will give you plenty of time to become familiar with a Video Poker strategy, so you'll know quickly how play ANY hand. Fortune Palace is a straightforward introduction to casino games and strategies, aimed at both absolute beginners and more experienced players. From the start, the site was designed around the principle of Learn, Practice and Play - Learn the rules and strategies of casino games, Practice them for free, then Play for real at an online casino. Having so many games to choose from - and so many different versions of each game - means that players are sometimes tempted to play a game which seems familiar, but may be different in some subtle, but very important ways. For example, the main difference between European Roulette and American Roulette is that the first has one zero, whereas the second has two. This single difference completely changes the odds, and your chances of winning. Similarly, Blackjack with one deck, three decks and eight decks are very different games. Knowing which game you're playing will help you place your bets wisely and maximise your potential profits. A big part of the ethos of Fortune Palace is that players should be given the opportunity to become fully familiar with a game and its strategy, before playing. 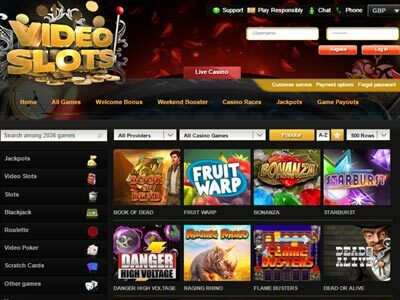 No-one wants to lose a fortune learning the ropes of a new game, so each of the games above allows you to play without making a deposit or even registering! Most people come here for free-play versions of Roulette and Blackjack, but we encourage you to also try out some of more unusual games like Sic Bo, Keno and Pai Gow Poker, as these games can offer very different experiences. If you're familiar with Roulette, why not try a card game? 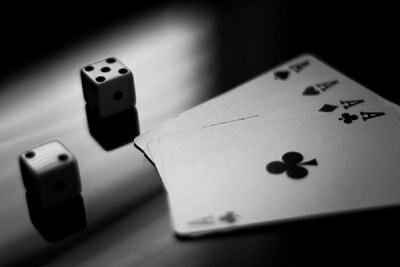 If you're a Blackjack expert, have a go at a dice game. Playing a variety of games is vital to maintain your enthusiasm - always beari in mind that gambling is a leisure pursuit, a fun activity, not a guaranteed way to get rich quick! The Learn a new games ection of the site will walk you through the basic rules and suggested strategies of each of the games, which you can then practice on the games above, before choosing from a list of recommended casinos and bonus offers.